- NJPW Tokyo Dome (January 4, '95) = Tiger Jeet Singh Jr & Tiger Jeet Singh Sr took down Shiro Koshinaka & Michiyoshi Ohara. - WWF Kuwaiti Cup Tournament '97 (April) = Tiger Ali Singh defeated Leif Cassidy, Billy Gunn, Mankind, and Owen Hart to win the tournament. - WWF One Night Only (September 27, '97) = Singh pinned Leif Cassidy. - NWA 50th Anniversary Show (October 24, '98) = Singh competed in a "WWE Dojo Battle Royal", which was won by Steve Williams. - WWF Survivor Series '98 (November 15) = In a dark match, Singh fell to Val Venis. - WWF Capital Carnage (December 6, '98) = Singh defeated Edge. 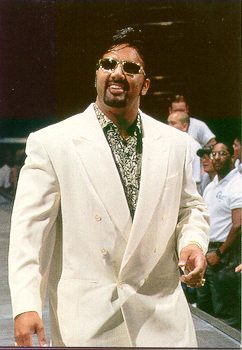 - WWF Royal Rumble '99 (January 24) = Singh competed in the Royal Rumble, which was won by Vince McMahon. - WWF St. Valentine's Day Massacre (February 14, '99) = In a dark match, Singh fought to a No-Contest with Billy Gunn. - WWF Wrestlemania XV (March 28, '99) = In a dark match, Singh competed in the "Tag-Team Contendership Battle Royal", which was won by D-Lo Brown and Test. - WWF No Mercy '98 (UK) (May 16, '99) = Singh pinned Gillberg.